Don’t think of Pradeep Gupta as a typical grandpa — although he does love his three, almost four, grandkids. The 69-year-old who was appointed to the South San Francisco City Council in January has an interest in social media. It’s a tool widely embraced by young people. Those are the very same people he’s hoping to engage in civil happening around town. Social media may be his key. It’s a simple hope: Make younger residents aware of the needs and opportunities in their own city which would, Gupta hopes, create new ideas as well as a fresh influx of those willing to be involved. Not a small task, sure, but Gupta is hoping he’ll have time to work on it. Gupta’s the newest of the council, appointed at the start the year to fill a vacancy left by Kevin Mullin’s election to the Assembly. While Mullin’s term had over two years left, Gupta was appointed until the election in November. At that time, Gupta plans to run for a four-year seat. If elected, then he’ll really have time to dive into his plan of reaching out to involve a greater number of residents. Gupta is interested in creating a stronger sense of pride in the city while also maintaining open space. Such goals were far from his mind as a young boy born in New Delhi. He comes from a family of engineers so what to study was never the question but where to pursue a degree was. 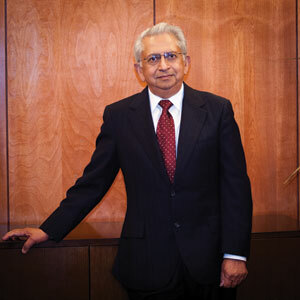 Gupta holds a bachelor’s degree in electrical engineering from the Indian Institute of Technology, and master’s and doctorate degrees in electrical engineering from Purdue University. His career includes 30 years of experience with the electric utility industry including 11 years at Electric Power Research Institute, eight years at Southern California Edison Company and 10 years as a consultant focused on international utilities. Gupta ended up joining a small firm in Palo Alto, originally bringing him out to California. He worked in Silicon Valley only a couple of years before he and his family moved to work in Southern California. Much of his professional work prepared Gupta for the many facets of knowledge required to serve on the council – like overseeing budgets, risk management, long-term planning and researching best options. Most recently before retiring, Gupta worked with a French-owned energy consulting firm that allowed him to visit remote locales and learn a variety of customs. Once he and his wife of 43 years, Kumkum, decided to retire, they moved to South San Francisco from Orinda 15 years ago. The couple which has two children, three grandchildren and a fourth on the way, started finding other interests to explore. For Gupta that included woodworking and becoming active in a local theater group. In 2008, Barack Obama became president and Gupta likes his ideas. During the same year, Gupta attended a local conference to look at a critical problem in San Mateo County – that the cost of living was too high for many people who worked here. That’s when Gupta decided to get involved. “It was clear to me that I could do something positive for the city,” he said. After attending meetings, he applied to the Planning Commission more than once before joining three years ago. In his newest role, Gupta is busy taking on a steep learning curve but remains optimistic that he can make a difference. Quality of life for all residents is key to Gupta’s vision for South San Francisco. He wants to celebrate the different ethnic groups but also bring people together. Many issues facing the city, he said, could be solved if more people would simply get involved. How to achieve that is the biggest challenge as Gupta sets out for what he hopes will be at least four years on the council.